With the Sauder Dakota Pass Armoire in Craftsman Oak, you are getting a sturdy wooden armoire complete in a craftsman oak finish. This armoire features drawers inside of it with metal runners and safety stops to make opening them and closing them a simple thing to do. 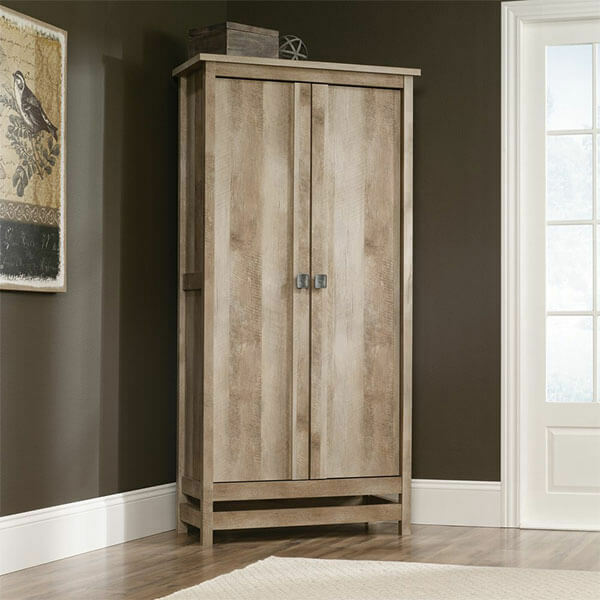 This Sauder Cannery Bridge Storage Cabinet in Lintel Oak is a durable wooden armoire whose lintel oak finish gives it a rustic appeal. It has hidden storage that sits behind its two large doors in the form of six adjustable shelving units found inside of it. Will hold up to a 50″ TV. 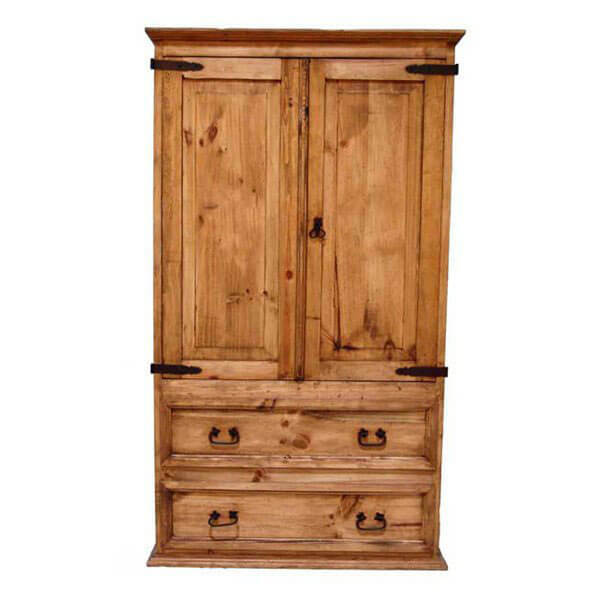 Old fashioned, the Rustic 2 Door Armoire, Walnut Finish provides plenty of style and storage. This unit measures 63 inches in width by 79 inches in height by 29 inches in depth and features handsome iron door pulls. 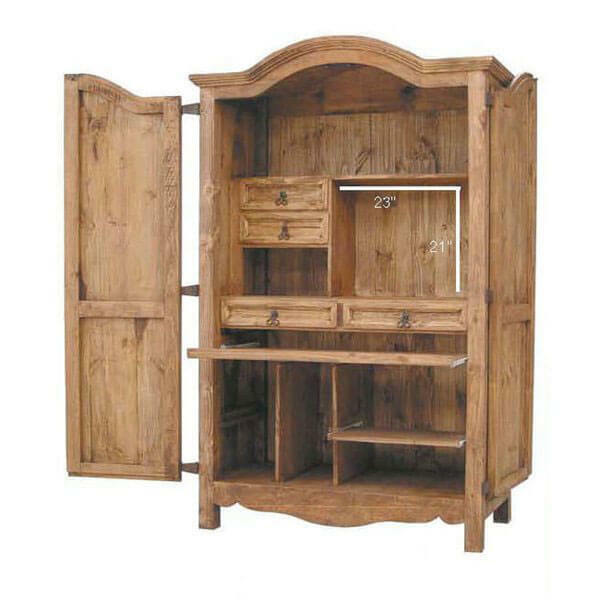 It is crafted out of a solid wood with a walnut finish. 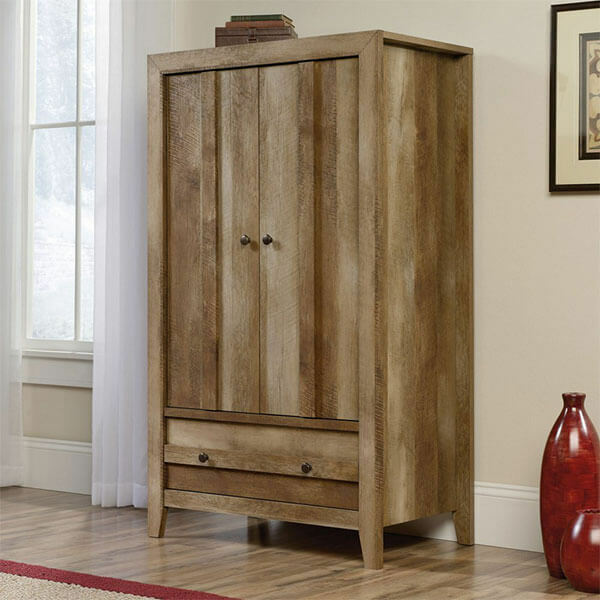 Able to hold your computer, printer, CPU tower and more, the Rustic Western Computer Armoire is a 100 percent wooden computer armoire suitable for any traditional style home. It measures 47 inches in width by 76 inches in height by 25 inches in depth and weighs 175 pounds. 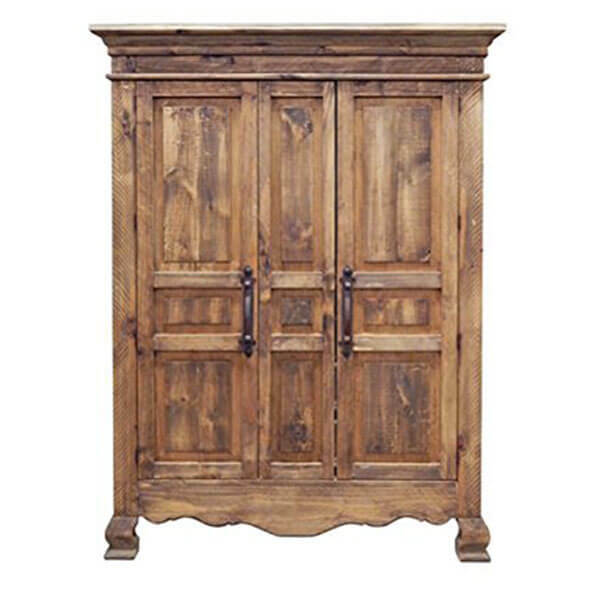 Suitable for any rustic home, the Rustic Western 2 Door 2 Drawer Armoire is a fully assembled armoire made out of 100 percent genuine wood. It measures a comfortable size of 41 inches in width by 71 inches in height by 24 inches in depth and features two doors and two drawers. 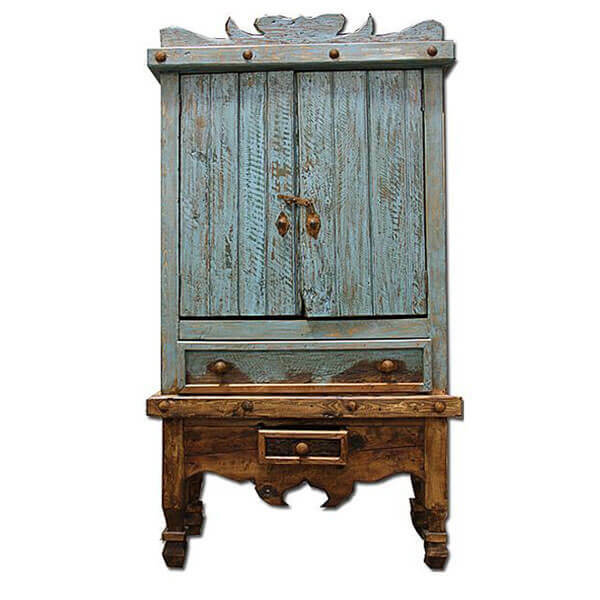 This shabby chic Western Rustic Turquoise Armoire is crafted out of 100 percent wood and is sure to last for years to come. It measures 37.5 inches by 21 inches by 79.5 inches and has been given a turquoise finish. It features two doors and a drawer.